Many thanks to John Shanahan at Hypnagogue Podcast for featuring the track Pulse Drive from my ambient space music album Merging The Infinite on his podcast show. The Hypnagogue Podcast is a well regarded show in the ambient community and John is well known for championing artists with his well written reviews so it is an honour to be featured in this episode alongside other musicians including Max Corbacho, Hollan Holmes and more! My track Meridian Flux from my most recent ambient space music album Merging The Infinite has been featured on the Syndae.de podcast (Ep 394) from Stefan Schulze. Getting Your Music On iTunes, Spotify, Amazon etc. If you want to get your music on all the major online stores like iTunes, Spotify, Amazon, Google Play etc. then you need a distributor. With virtually all distributors you have to pay them a fee (sometimes it’s a yearly fee or sometimes per album release) and they submit your music to a varying number of stores (depending on who they supply to). You get to keep 100% of all royalties from your sales. Some of the previous distributors I used would charge you a yearly fee per-album but with Distrokid you can release as much music as you like for one price of $19.99 per year. They’re also very artist-friendly and are run by and for musicians. I’ve never had any problems with them and they’ve always been really responsive so I recommend them completely! I’ve just released a new album of ambient space music and drone soundscapes titled Merging The Infinite. The album contains 10 tracks of longform atmospheric textural music with a total running time of over 1 hour and 42 mins.The album follows on stylistically from my previous releases Cryosleep Dreams and Perpetual Dimensions and ranges from calm, ethereal and airy drones to dark and edgy space music tracks with an ominous feel. Some of the tracks have a subtle Berlin-school feel (a la Tangerine Dream) with fluttering stereo arpeggios and sequences. You can watch a promo video for one of the tracks called Spindrift above or buy the album here or over at Bandcamp and other major online stores. The Occupation Of The American Mind is a powerful documentary about the Israeli/Palestinian conflict and how propaganda and journalism can influence public perception. Narrated by Pink Floyd’s Roger Waters and featuring contributions from Noam Chomsky, Phyllis Bennis, Max Blumenthal and many more. My music is featured throughout the documentary which has received glowing reviews and praise. 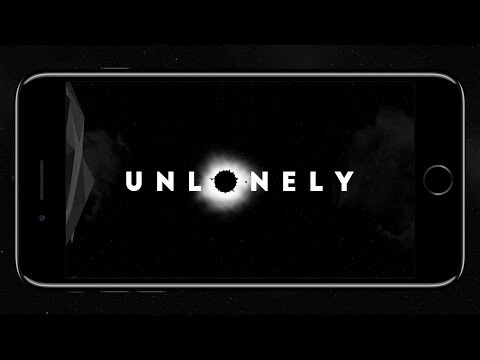 Check out this teaser trailer for a cool looking new iOS game from Rinikulous Games called Unlonely. 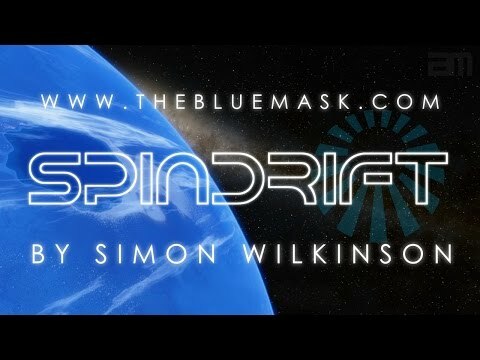 The video features a short clip of one of my new ambient space music tracks called Spindrift from my forthcoming ambient album which should be out sometime in the next few weeks. I’m currently offering a special offer discount on my Royalty Free Music collections – buy any 2 albums and get the third for free. My royalty free collections are a pay-once/use-forever deal and can be used in any videos, documentaries, games, trailers, DVDs etc. without having to pay any further license costs or fees. The music ranges from ambient ethereal space music, dark horror soundscapes, cinematic atmospheric piano and much more. The normal price is £39.99 for each album but you can choose any 3 for just £79.98 (normal price £119.97 – saving £39.99). There’s been some good news regarding the VAT charges on digital sales that was introduced back in January 2015 (more popularly known as VATMOSS). In case you were unaware, anyone making online digital sales from that date (including music, video, apps etc.) has been obliged to record the geographic location of their customers and then to charge tax if the customer is based in the European Union (EU). This has been extremely problematic for small businesses, musicians and indie developers etc. due to having to know where their customers are located before they’ve even bought anything from you. It also means we have to constantly monitor and keep up to date with changes in VAT rates across 28 countries and then add that rate to the order at checkout, which means increased prices for most European customers (not to mention lots of admin and changes to our websites). However, after much campaigning and writing to our MPs (and the incredible hard work of Clare Josa and her team at the EU VAT action group http://euvataction.org) the European Commissioner Pierre Moscovici has finally seen sense and proposed changes to the laws so that businesses making cross-border EU sales under €10,000 will be able to go back to applying the VAT rules for their own country. However it’s still only a proposal at the moment so even if all goes well, it could still take at least a year until I’ll be able to implement this. So for now I need to continue charging VAT to EU customers. But it’s great news and a complete reversal of what the bureaucrats initially said was a big fuss being made by small businesses. 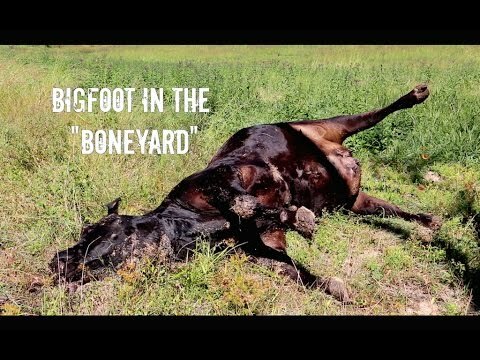 Here’s the latest episode #5 in the Bigfoot documentary series Sasquatch: Out Of The Shadows which features some of my dark atmospheric music. The track you can hear in this episode is called Chrome Skies from Volume 6 of my royalty free music Dark Matter. The series is produced by Aleksandar Petakov of Petakov Media and you can follow the YouTube channel of the documentary here. When my daughters were babies, they were both bad at sleeping. We’d be extremely lucky to get more than a couple of uninterrupted hours at a time for the first few years. It was exhausting (and still is) but everyone goes through it and you eventually come out the other side and gradually forget how nerve-shreddingly debilitating it all was. I almost have. Over the years she began to know it as the ‘Da-da-da dee da-dum’ song and she started to sing it to herself. She still occasionally sings it now she’s almost 5 and I also used to hum it to our second daughter Ada when she came along. So I thought it would be nice to try and take that simple hummed tune and orchestrate a recorded version for them to hear in case they forget when they’re older. I fleshed it out a bit more than the simple hum it started off as, but it’s still essentially the same tune (Molly also makes cat noises when she hums it now, so it’s been named The Pussycat Waltz). I also kept picturing the Grand Central station dance scene from The Fisher King when I was writing it. It probably wouldn’t send anyone off to sleep in its finished form (try tracks like Frozen White Light for sleep) as it builds up to a couple of rousing crescendos, but it was fun to do and I hope they’ll listen to it when they’re older and maybe remember how mum and dad went through those long, long (did I mention long?) sleepless nights. If you’re interested you can get the track here on my site and it’s also on iTunes, Spotify etc.